Rush are premiering a performance of their 1980 classic, “The Spirit Of Radio”, as a preview to the forthcoming “R40 Live” release. The track was the lead single from the group’s seventh album, “Permanent Waves”, which became the band’s first US Top 5 record when it peaked at No. 4 on the Billboard 200. Due November 20, “R40 Live” captures Rush in concert in their hometown of Toronto over two nights this past June. 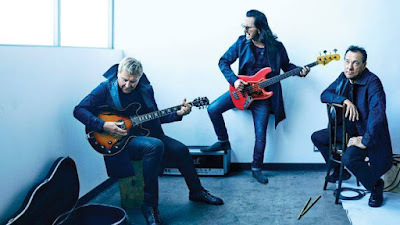 Named after their 40th anniversary box set, “R40”, the tour may be the last one of its size for Rush. "It's most likely our last tour," said bassist/vocalist Geddy Lee. "I couldn't put it any more accurately. I can't say for sure. But it doesn’t mean we don't want to work together still, it doesn't mean we won't do another creative project and I've got ideas for shows we could do that don't involve a tour." “R40 Live” will be available as a 3CD/Blu-ray or DVD set as well as standalone options for the concert film or live album.